The"EustacianTube" is a cartilage lined tube that connects the airspace behind the eardrum("Middle Ear Space") with the back of the throat behind the nose ("Nasopharynx"). The Eustacian Tube prevents fluid from building up behind the ear drum "Serous Otitis Media" from occurring. However, the cartilage in older patients sometimes softens over time and can result in fluid collecting behind the ear drum which is called "Eustacian Tube Dysfunction". This can result in a very bothersome chronic loss of hearing often described as being "under water". 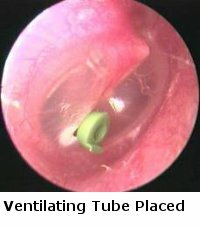 Generally, if fluid does not resolve on its own within 6 weeks Dr. Lueg may recommend making an incision in the eardrum ("Myringotomy") and placing a small soft plastic tube ("Middle Ear Ventilating Tube") through the eardrum that drains the middle ear fluid and prevents re-accumulation of the fluid. These tubes basically bypass the function of the Eustacian Tube and are placed asleep under anesthesia for a few minutes in the operating room. 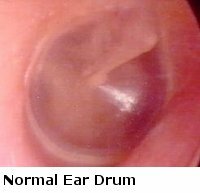 They typically fall out on their own after 6-18 months and the eardrum heals spontaneously.